File Manager is very important for smartphones which has Android OS.There are many File Manager in the Play store, so which one’s best let us see the top 5 File Manager browser for Android in detail.The ranking of top 5 file browser is the personal choice of the writer and may differ to others choice.These top 5 file managers for Android are free of cost which is available in Play store to download straight away.These file browsers are loaded with all basic functions like copying, moving and deleting the files.You can even take the backup of Apps, compress the files using these top 5 file manager for Android for the year 2015. 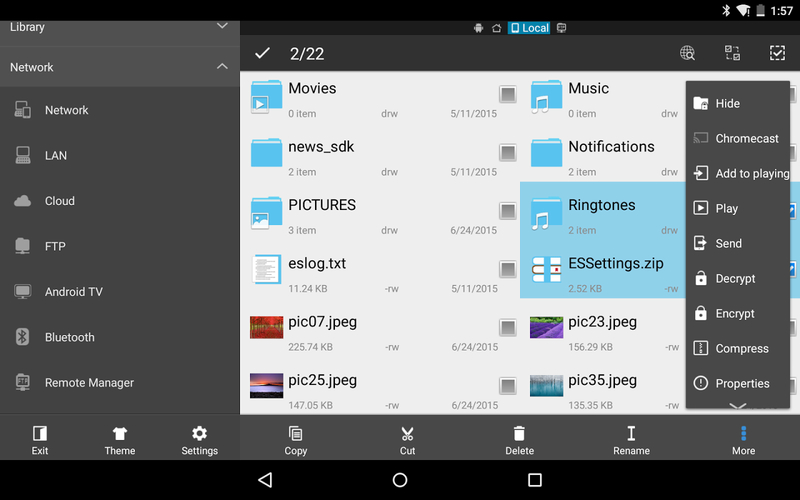 It is one of the most popular file managers available for Android users, and it provides many features for file management. The app covers the file management basics with an explorer window for copy, paste, delete and move operations, a sidebar for accessing your favorite folders, local storage locations, media galleries. Additionally, it can serve as a cloud storage client for services like Dropbox and Google Drive, and it also supports FTP app management. 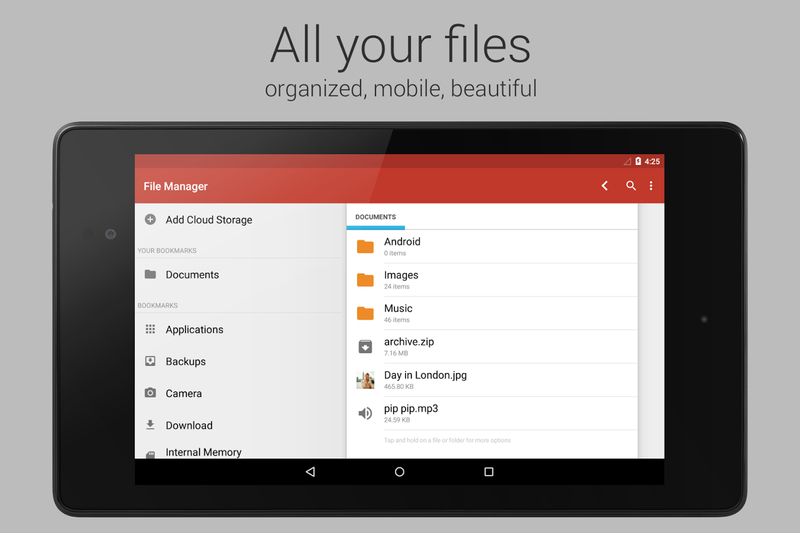 It is one of the best free File manager for Android for the year 2015 that I would recommend. 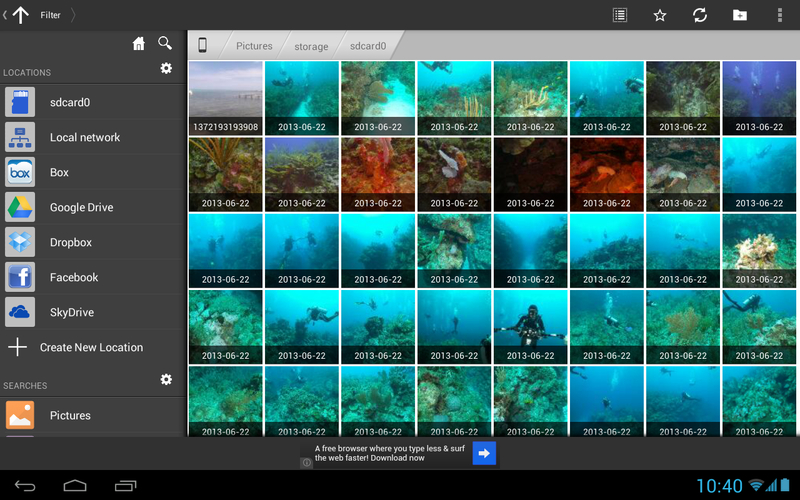 It is another popular and powerful choice for Android file management.It is also a default File Manager for Sony Smartphone. 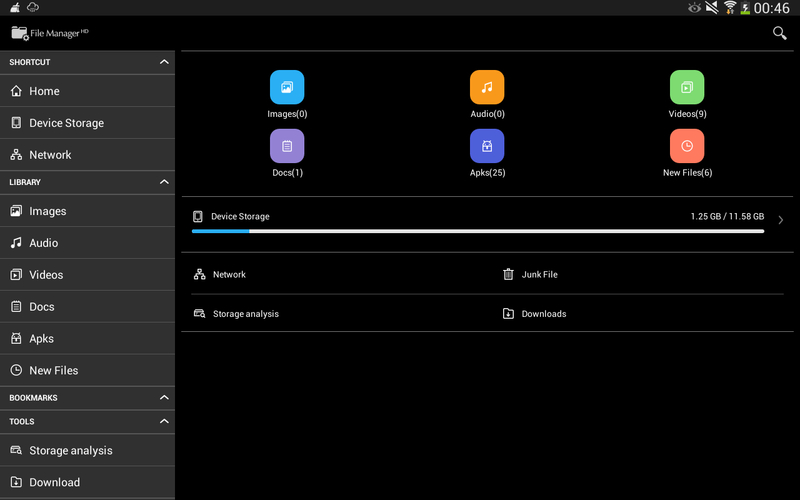 Like the name says, ASTRO includes both local storage and cloud storage management features, ie: you can make sense of your internal storage and SD card space while also expanding your reach to the cloud. 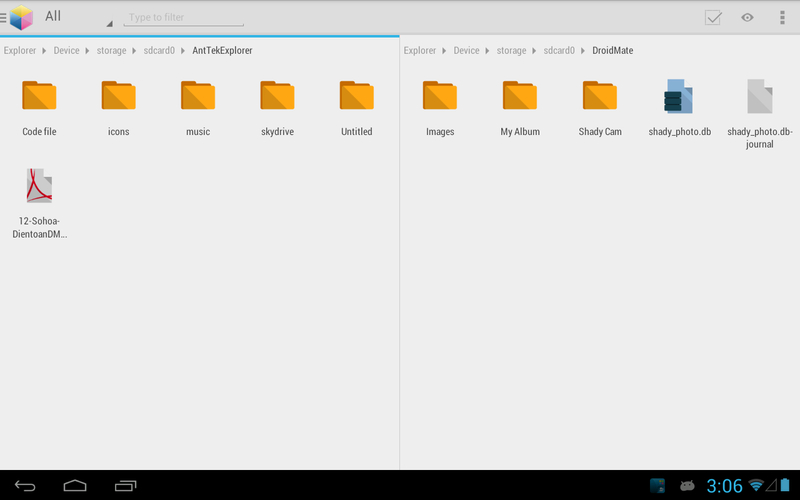 The default view lets you use the entire screen to scroll through your files while side swipes bring up various storage locations and extra tools including an app manager and other user settings. It is also an another popular and powerful choice for Android file management which provides us Cut, copy, paste, delete, compress, decompress, search and more and cloud supports that Switch between local and cloud files – supports Dropbox, Box, Google Drive, SkyDrive and more, Wi-Fi File Transfer that is Use your PC to wirelessly edit your mobile files using FTP.It is easy to View files by type (image, audio, video, recent, download etc. ), use a widget to access folders in one tap from the home screen. AntTek Explorer is the suggestion of a few readers who loves UI. It has a clean, multi-pane UI complete with drag-and-drop functionality and about half a dozen different panels you can use for various things.You can Browse, copy, cut, paste, delete, rename, send, zip, unzip, Build-in viewer for text, image, video files and text editor, zip viewer, apk viewer. It’s free to use with in-app purchases and if you liked the old version better, you can get it from Play store. This one is called File Manager and it is developed by Gira.me. This is the first on the list that is optimized specifically for Android tablet. It can be switched from dark to light themed, depending on your tastes. Aside from that, it comes with the standard features like copy, cut, paste, delete, rename, send, zip, unzip and a few advanced ones as well. It also comes with a built image gallery. So, these are the some of the free File manager available for Android mobiles on Google Play store. This list is for the year 2015 and the post will be updated frequently so make sure you bookmark our blog.